Here are my install notes on how I set up my puppet server. Note, with EPEL 6.8, passenger is available via yum. This is a much better way to install passenger, rather than using ruby gems. This is environment specific depending on the bridges you need to create to let the puppet master communicate to its various networks. Port 8140 needs to be open on the puppet master for each interface you have added, specifying the source networks and interface adapter as applicable. 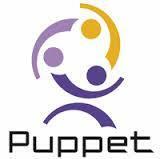 Below is an example taken from the UK Cressex LAB puppet master deployment. All IPTABLES information is covered later in the document under the configured puppet environments section. # Generated by iptables-save v1.4. Hope this helps some people. There are some more blogs I have written concerning how to install puppet DB, puppet dashboard and adding additional puppet masters.